Everyone who lives in Canterbury should enrol with a general practice. Unless it's an emergency (when you should call 111), your general practice team should be your first point of contact for health advice or care. If you or someone in your family is sick, make your general practice team your first call, 24 hours a day, seven days a week. Even after hours a nurse is available to give free health advice. Just phone your usual general practice number. The nurse will be able to offer advice, or suggest you attend the after-hours clinic or emergency department. They will also be able to book an appointment for you with your GP (general practitioner) or practice nurse. 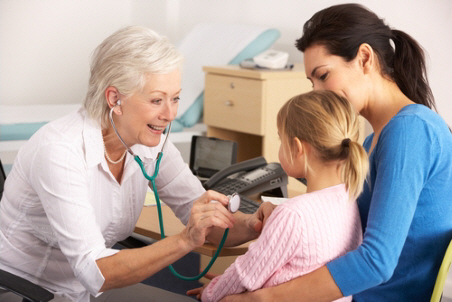 Most general practices in Canterbury have free consultations for children under 14. If you need help finding a general practice near you, use this general practice map. Click the image or follow this link. A GP is a doctor who looks after the health of people of all ages. They mostly work at medical centres. But they also work in after-hours clinics, providing 24-hour medical care in Canterbury. They can deal with many medical problems and will refer you to the hospital if needed. Your GP can get to know you and your family over time and help to look after your health needs. GPs are part of the community medical team who all work together to look after you and your family's wellbeing. Other members of the community medical team include practice nurses, physiotherapists, occupational therapists, podiatrists, dietitians, optometrists and pharmacists. Your GP is the doctor to see if you have a new illness or any concerns about your health. They will also care for your ongoing health needs if you have a long-term condition such as high blood pressure or diabetes. What qualifications and training do GPs have? Doctors in New Zealand must complete a six-year medical degree. After graduation, they must work for another two years to gain further training both in hospitals and the community. GPs must also complete a three-year training programme in general practice. After completing the training programme and exams, they gain the Fellowship of the Royal New Zealand College of General Practitioners qualification. GPs from overseas must have an international postgraduate medical qualification in general practice that is recognised by the Royal New Zealand College of General Practitioners. After-hours clinics provide care that you would normally get from your GP. They also treat new illnesses and injuries. There are several after-hours clinics in Christchurch. The doctors who work there are GPs rather than hospital specialists. They can provide the same types of treatment as your usual GP. You can also get blood tests and X-rays at the after-hours clinics if necessary. You have to pay for a visit to an after-hours clinic. The cost depends on the time of day, your age, and if you need treatment due to an accident. See Emergency & after-hours medical help for information about the after-hours clinics in Christchurch. If you are very unwell or have a life threatening illness, the emergency department provides emergency and life-saving care. Should I go to the emergency department or the after-hours clinic? If you are unsure then ring your normal GP phone number any time, day or night. A nurse will be able to give you advice about where you should go to get the medical care that you need. In an emergency call 111. Written by HealthInfo clinical advisers. Last reviewed February 2017. Last updated December 2018.